San Francisco's Asian Art Museum is the largest museum devoted exclusively to Asian art outside of Asia. It fills the magnificent old public library building on Civic Center Plaza opposite City Hall. Its collection spans 6,000 years of Asian culture as well as the entire region, from South Asia, through China to Indonesia. 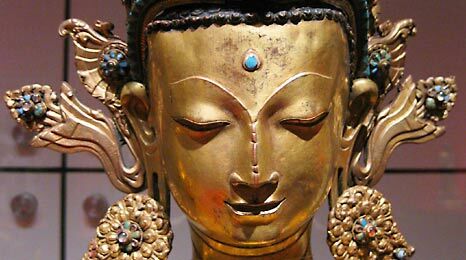 While the average person will find much of the collection dull, there are enough pieces such as the wild Chinese statue of the Goddess Sihavakta Dakini, to make a visit a worthwhile afternoon for just about any culture lover. Its gift shop is especially good, with tasteful Asian themed merchandise, some of which is exclusive to the shop. Free self guided audio devices. Easy public parking under Civic Center Plaza. Tasteful Asian merchandise in the gift shop. The area is overrun with street people. Only a few Japanese screens.